The minister had earlier said he would go to court to challenge Msimanga’s decision to shut down Correctional Services’ headquarters. 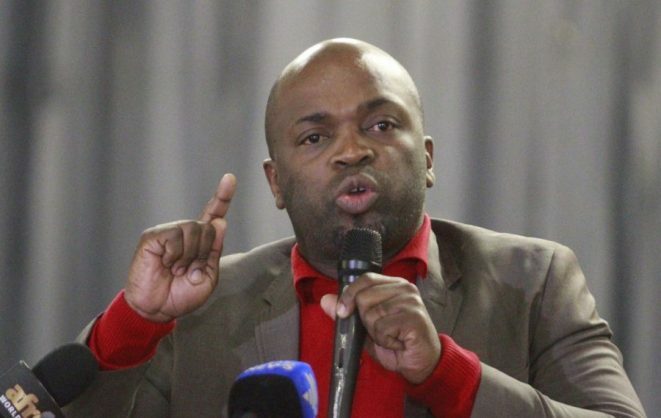 Tshwane Mayor Solly Msimanga on Thursday hit back at Correctional Services Minister Michael Masutha, after the minister threatened to go to court contesting the city’s decision to shut down Correctional Services’ Poyntons Building head office in Pretoria central. “I have noted the response by the Minister of Justice and Correctional Services with respect to our decision to close the noncompliant Poyntons Building. While Minister Masutha has every right to approach the courts, we nevertheless remain confident that no reasonable court of law will knowingly be party to endangering innocent peoples’ lives,” said Msimanga. Msimanga said the department had two years to ensure that the building was compliant “but they failed”. He said the City of Tshwane clampdown on the building was in a bid to save lives of workers. The mayor said section 24(a) of the constitution enjoins all of us to “ensure our people are not subjected to an environment that is harmful to their health or wellbeing”. Msimanga added: “What is of great concern here is not necessarily the closure of the building but the fact that the ministry and the management continued to put people’s lives in danger by expecting employees to continue to work in a building that is ‘partially compliant’ by the minister’s own admission”. – The building has no evacuation plan or system in place to inform occupants of what needs to be done during any fire or related emergency condition. – There is no operational smoke detection and alarm system in the building to raise the alarm of a fire condition. – The building, of 32 storeys and of a height of about 100 metres with approximately 1,700 occupants, does not have any firefighting water inside the building. – Eight floors on the western wing are connected without any lift lobbies, fire doors or any other separating element to create areas of refuge during fire conditions. In the event of a fire, the passage of smoke will travel rapidly throughout the building that will not only result in panic but also rapid fire spread and possible asphyxiation of occupants in the immediate floors. – The escape doors from the building were found to be locked with no approved locked devices and means to access the doors in the event of an emergency. “We trust that the responsible step we took will motivate the ministry of justice and correctional services to speedily address the safety issues raised in order to bring the building into full compliance,” said Msimanga. On Wednesday, Masutha told a briefing in Cape Town that he would go to court to challenge Msimanga’s decision to shut down the Poynton Building. “The minister of justice and correctional services will have no option but to approach the courts on an urgent basis to challenge Councillor Msimanga’s decision,” the department said. Masutha said Msimanga should have considered “the dire consequences of shutting down the nerve centre” of the justice department. Correctional Services officers celebrated, ululating and clapping, as Msimanga and a contingent of senior Tshwane Emergency Services ordered the immediate evacuation of the department staff from the building on Wednesday, saying their lives were at risk.